I received this book free to review and was very impressed by it. I have always liked the âDummiesâ series of books for the way they explain things in a down to earth manner. This book is as good if not better. It has the slight disadvantage that it is not as easy to dip in and out of, but that is not its intent. It starts very simply, but thankfully without the âhello worldâ example and progresses until a fairly simple web site is finished. As its intended audience is young, I think under 13, the examples are child biased but that does not mean that it is not suitable for adults. My programming goes back as far as threading ferrite cores and I am currently trying to teach someone how to modify an existing site, the examples in this book gave me an easy way of explaining things. Obviously a book of this size cannot teach everything about HTML, CSS and Java but it certainly gives a sound basis in all three. Probably the best thing is how it explains the interaction between the three. I have bookshelves full of reference books on HTML etc etc they are all very good at explaining the functions but very few actually explain how to use it. This book is practical and although you will certainly need more information on all the operations available it is a very good start. There are screen illustration all through which show you exactly what you should get when you type in the code. Everything was well spaced with illustrations, again for the young, but helped to make the pages readable. Although I have said that it could not cover everything I was surprised that it included examples such as how to embed a Google map. 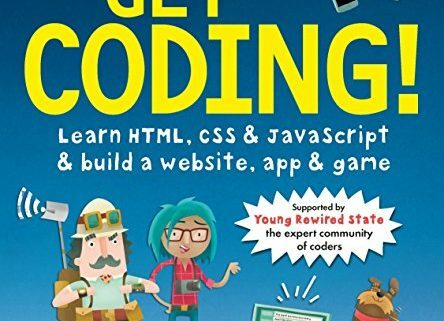 With it so easy these days to just use a web designer programme without knowing what it is doing this book helps you to actually learn. I wonder if they will produce a book on C#. Good straight-through tutorial, with an goal running through the book. 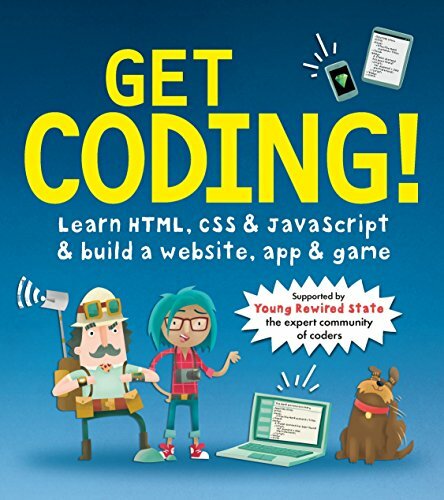 For a kids (or even teenager) interested in web-level coding, it should keep the interest and expand knowledge without getting technical.